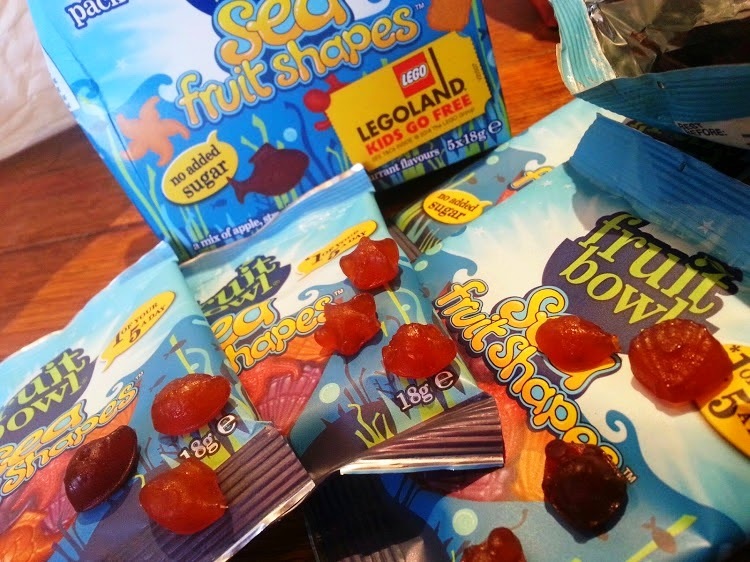 FruitBowl make fruit snacks for children that are a bit different from your usual snack. My children would call them sweets, but they're sweets made from fruit. 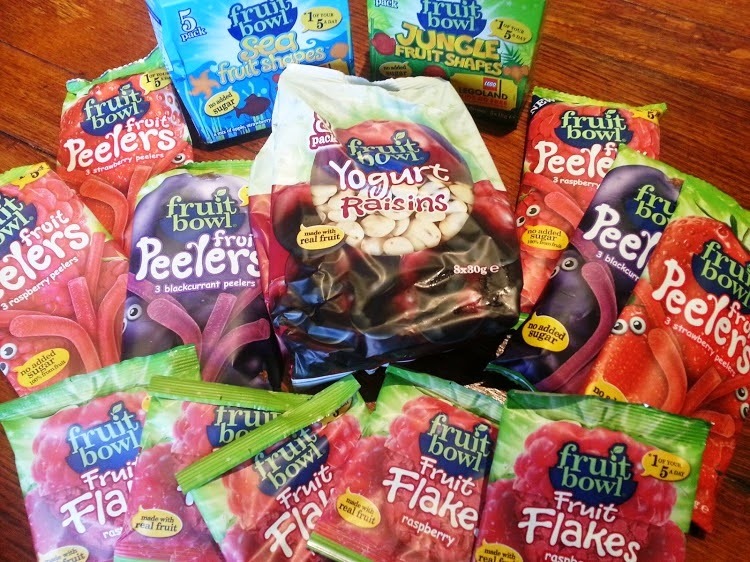 We were sent a great selection to try out - Fruit Flakes, Fruit Peelers, Yogurt Raisins and Fruit Shapes. The entire range is vegetarian and gluten free, and everything that doesn't have a yogurt coating is also dairy free. 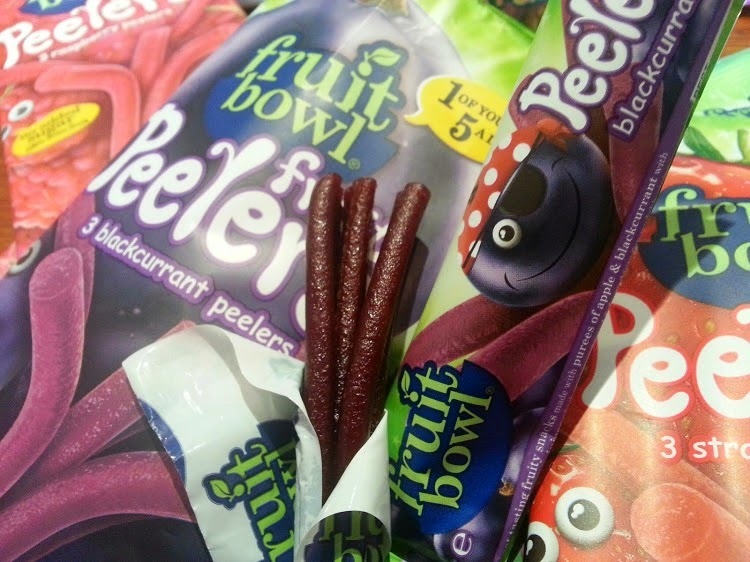 The fruit peelers are 100% Fruit. 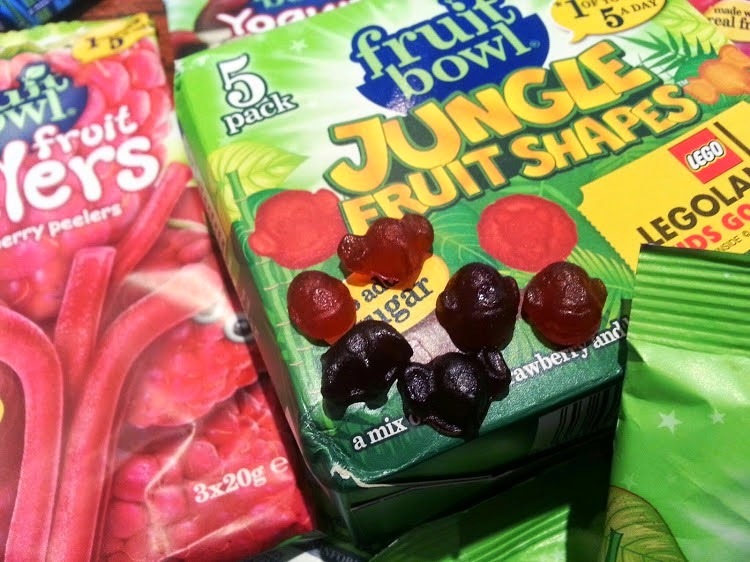 The Fruit Shapes come in 2 varieties - Jungle and Sea - very much like traditional sweets they have a slightly jelly like texture and taste really sweet. The animals and creatures were a real hit with my little boys. Each pack contains more than 5 times it's own weight in fruit and counts as 1 of your 5 a day, even for adults. 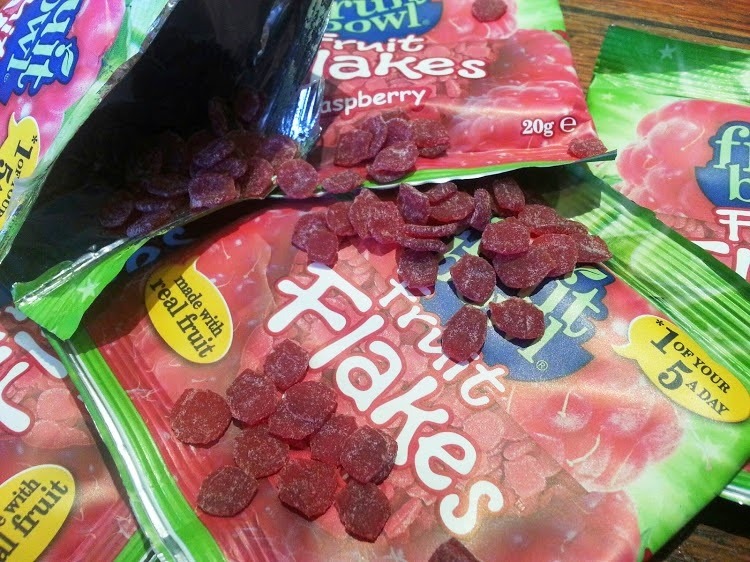 The Fruit Flakes are my favourite. They're really unusual as a snack, excellent for young children and also for baking into a cake or cookies! Each pack contains 1 of a child's 5 a day. The Fruit Peelers are lovely. Not so much a 'peel' as a group of 6 thin sticks packaged together, they're really quite chewy and satisfying. 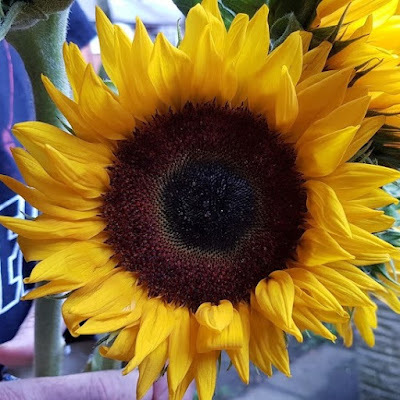 These count as 1 of your 5 a day for adults and children. 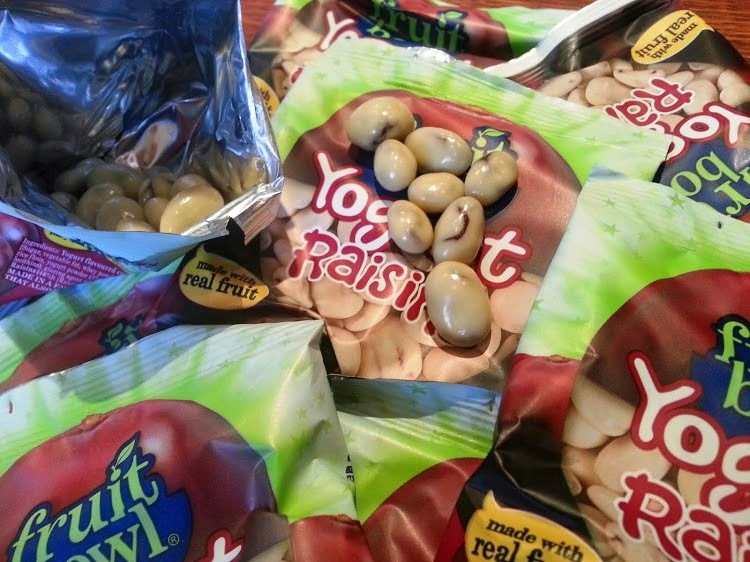 Yogurt Raisins are the least popular of these snacks in our house, but still everyone says they are tasty enough. They're a little more decadent than the others - obviously my children have less sophisticated tastes! These are definitely a treat, but I think great as a once-a-day dessert. They obviously contain fruit sugars and acids, but they're so much better for your children and their teeth than ordinary sweets. 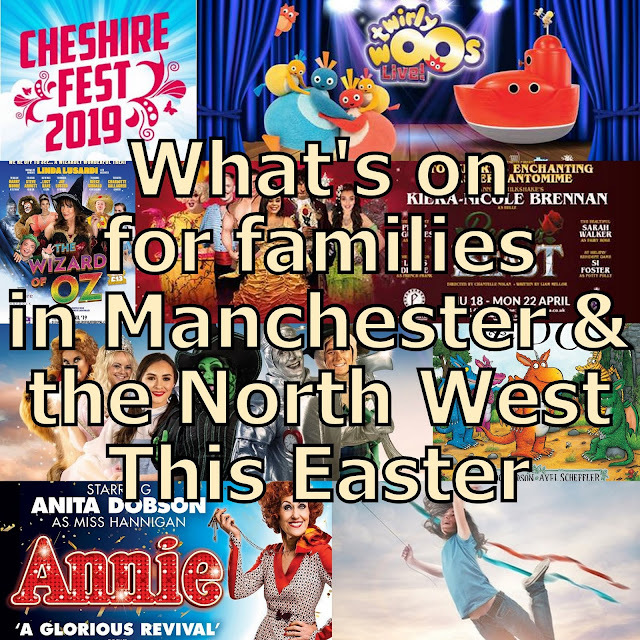 They're really tasty and all of our children were very keen to try all of the varieties we were sent, with the peelers and flakes actually coming out as favourites for the majority. I'm more than happy to put any of these in my sons lunchbox a couple of times a week as a special pudding, or take them with me for travelling, picnics and trips out, and they are an excellent way to help reach that 5 a day. 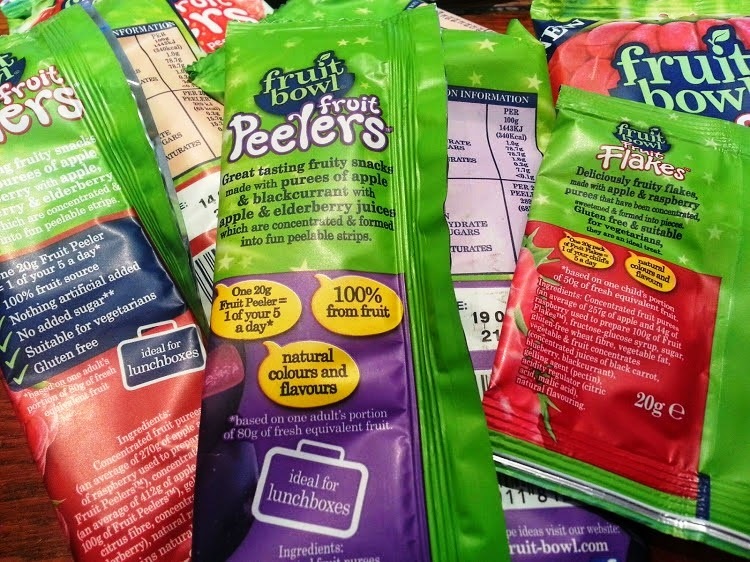 FruitBowl snacks are available from all of the major supermarkets in the home baking aisle with the dried fruits. Prices range from around £1.79-£2.00 for multipacks of 3-5 bags. They look fab!! When my girls had packed lunches they were banned from taking them though.....According to the school they looked too much like sweets!! Grr!! I did'nt think of the melting thing, but having just removed 4 or 5 sticky sweets from the bottom of my handbag you definitely have a good point! These are fab. They are about the only things closely resembling fruit that Z will eat. they look so yummy! just wish my kids would try them!